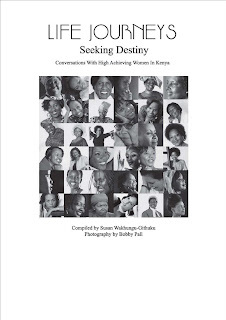 "Life Journeys": Conversations With High Achieving Women In Kenya, Week 5 - Women of the Week. 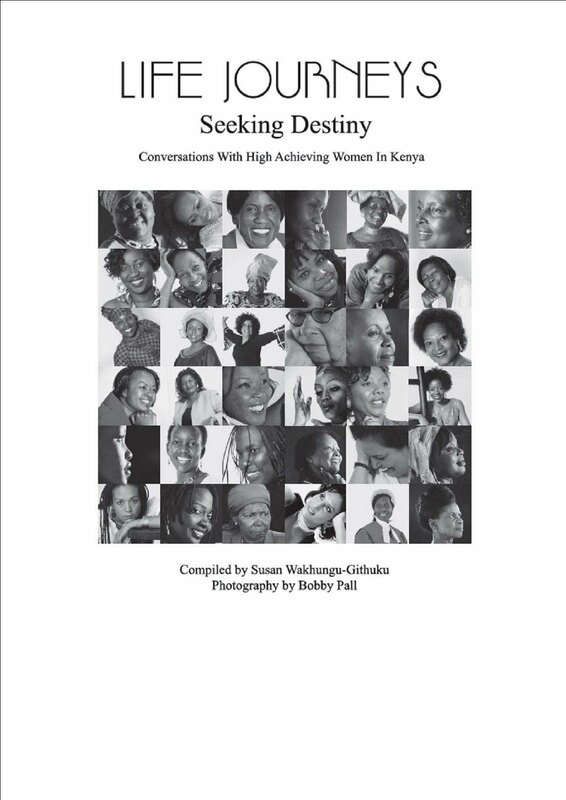 Conversations With High Achieving Women In Kenya, Week 5 - Women of the Week. We hope that you are enjoying our theme of "Kenya's Women of the Week." This is to honour Kenyan women who have made a difference, and continue to do so in our society and beyond our borders. This week, we keep it going with three new women who are deserving of this: Singer, Achieng Abura; Film Maker and Storyteller, Wanuri Kahiu; and Entrepreneur, Julie Scott. Achieng Abura is a familiar name, face; a singer whose voice is full of soul, whose rhythms are captivating, and whose lyrics are undoubtedly on the Mensa level. This beautiful lady won the Kora Award for Best East African Female artist in 2004, and is also the recipient of Spirit of a Warrior and Order of the Grand Warrior of Kenya honours. I am my mother's daughter. My late mother, Isabella Abura, continues to have a great influence on my life. I went to Hill School in Eldoret. When I was 12, I sat for my Certificate of Primary Education Exams and, as an incentive, my mother offered to buy me a piano if I did my best. I was ranked second in the whole province and duly received my Campbell Piano. My career in music has not been an easy road and if I were to do it again, I would make sure that I still pursued my education. I recommend this for every artist and emphasise that nobody should underestimate the value of education. If you are a leader, you have to do everything for the good of the people. I insist on a leadership that deals with issues and not personalities - one that deals with the needs of people and not the political needs of the leaders. Sometimes you have to be a strong enough leader to say, "You elected me, but I am going to go against you". If you do the right thing, people will see the results and they will put you back in office. Young Film Maker and Story Teller Wanuri Kahiu is undeniably in the top tier of film makers in Kenya and Africa. She is a University of California graduate, and the Director and Co-Founder of Awali Entertainment. This award winning Film Maker is the recipient of the Citta di Venezia Award at the Venice International Film Festival in 2010, and the Special Jury Award at the Zanzibar International Film Festival the same year, just to name a few. At school, I was a complete bookworm. I read anything, anywhere and at any time. I think my nose would still be buried in a novel today if it were not for film. This did not affect my social life in any way because my closest friends were bookworms as well, so we were birds of a feather. This love for reading has helped to mould my future path. I write stories because I love to read them. My contribution to this industry has been driven by the notion that it is all I can do. One thing I would like to emphasize is that I am a storyteller and not a filmmaker. I did not just wake up and decide to be a storyteller after years of doing something else. No! I have always been a storyteller. I honestly do not know what else I would do if I was not in film, or who else I would be, if not a filmmaker. A typical day in my life revolves around film. I wake up, shoot a film, edit a film, or write a film. Then I go home. All my focus and energy goes into whatever film I am doing, thinking and dreaming. When not filming, I am planning the next film to be shot. I am aware of all that surrounds me. Perhaps I contradict myself when I say that the ultimate highlight of my life is when I touch God, Because for me the most important journey in life is the journey to God. If you have not achieved that, you have not reached the journey's end. I believe God manifests in light and sound and we need to do all we can do to reach God. Entrepreneur Julie Scott is a household name in the tourism industry. This Ugandan-born tourism guru is the owner of Carlson Wagonlit Travel/ Bunson Travel Service, and Sundial Travel. My parents have had the biggest influence in my life. They brought us up without substantive extended family support. My father worked extremely hard. He was not well educated, but he took all eight of us to good schools. My mother is my inspiration she is in her mid 70's and still runs a farm in Kitale. She is an amazing person, and despite having been ostracized, brought us up wonderfully. One of my biggest mistakes as a new entrepreneur was not getting involved on the financial side of my business. I learned this lesson the hard way. As a business owner, you need to know the basic financial management and accounting. I have never been strong in that area yet, it is a very important part of running a business. I am inspired by successful women who do not let things get in their way. Eddah Gachukia is one person who I always say is my mentor. Her insistence on the education for the girl child has inspired me. I am also inspired by other successful women. Honesty and integrity are two values that I hold in high regard. I always say that there is no point of doing anything without them.